While the new tax laws have been discussed by the media and other outlets extensively, they don’t actually go into effect until this year, which means people didn’t have to account for them until now. 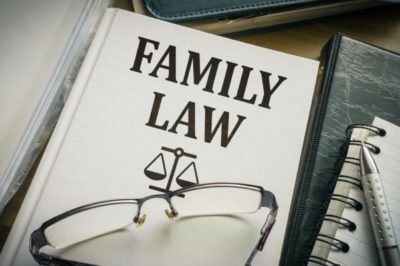 This has left family law attorneys, accountants, and other professionals scratching their heads as they work to understand how these changes will impact everyone. For this post, we’re looking at changes to the tax code that are sure to have an impact on divorce proceedings, division of assets, and other matters relating to family law in CA. Nothing beats the personal attention of a qualified legal professional, so we always advise that you schedule an appointment with a family law attorney. For now, here’s a brief overview of the changes that you need to look out for. What are Some of the Major Changes to the Tax Law in 2018? Increased standard deduction: Moving forward, the standard deduction will be nearly doubled. Single filers can expect a deduction of $12,000 while joint filers will be able to take a $24,000 deduction. The standard deduction for the head of a household also went up to $18,000. New deductions for business income: This will impact more people than ever before, as many Americans have taken a shine to self-employment and other entrepreneurial ventures. The tax law makes sweeping changes into what can be deducted from business income, and includes sources of income such as income from sole prioprietorships, S corporations, etc, and W-2 wages collected on top of that income. Business owners will want to ensure that all of this is accounted for during discovery and any other step involving the division of assets. Significant tax cuts for businesses: Overall tax rates for businesses have been lowered, so this is another area that will impact business owners who are going through asset division. After all, the accurate evaluation of your business is a critical component of the divorce process, and any errors or oversights could come back to haunt you and prove to be very expensive mistakes. Remember that this post is just a quick overview, as it simply cannot account for how complex the new laws are, or for the specifics in your case. If you want to learn more, the next step should be to schedule a consultation with a skilled California divorce attorney. Call us at R & S Law Group, LLP today! We offer free initial consultations, where we can discuss your options at length.